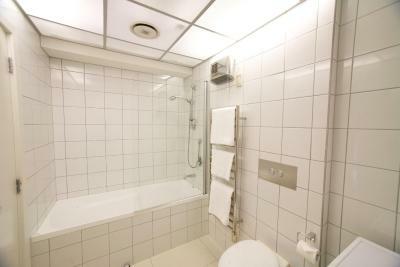 4.5 star hotel This is a Preferred Partner property. 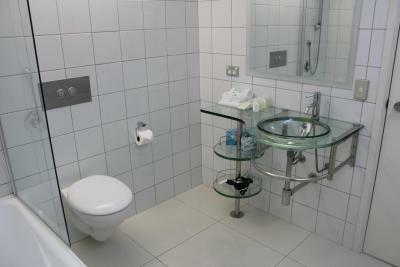 It is committed to providing guests with a positive experience thanks to its commendable service and good value. This property may pay Booking.com a bit more to be in this Programme. 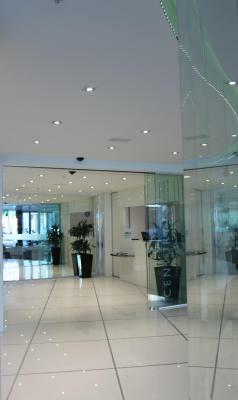 Lock in a great price for Distinction Wellington, Century City Hotel - rated 8.3 by recent guests. Lovely hotel, great location, good value, would recommend. 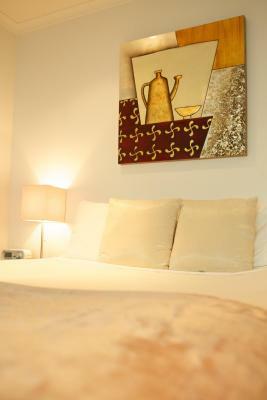 The location is excellent, with the walking distance to the museums and bar.street. I stayed in the room on the side of car park, I thought it would be very noisy in the first place, but turns out no noise could be heard from that side. The bed is very comfortable for me. The staff are very friendly. 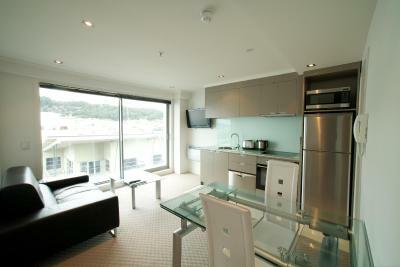 Location is central city with easy walking access to harbour front, Te Papa & local eateries. 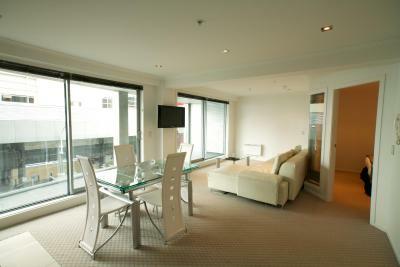 Location was great and was just a short walk to Courtney Place and the waterfront. 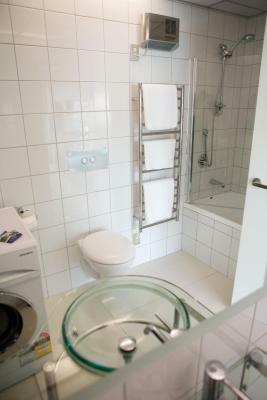 Room was clean and modern with large bathroom and small kitchen . 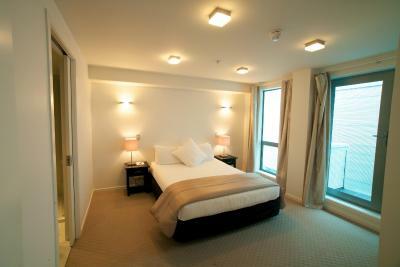 The room faced straight on to a multi story car park. So car park drivers looked straight into the bedroom and lounge. We had to keep the curtains closed so no one could look in. The room was so dark and dingy it ruined the stay. I complained to the staff and they gave me a 50$ reduction, but as this is a 299 pn hotel. It wasn’t worth the money, I won’t stay with distinction again. 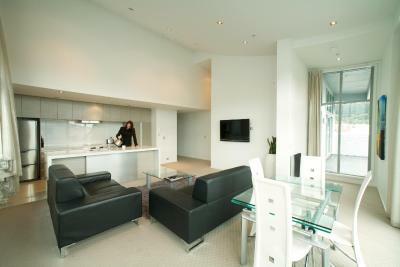 Location was great for what we wanted, good walking distance to everywhere. 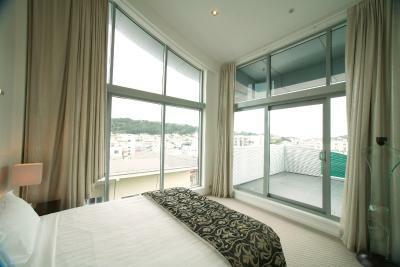 Great the room had a balcony. Friendly staff, very clean and had everythi g we needed. 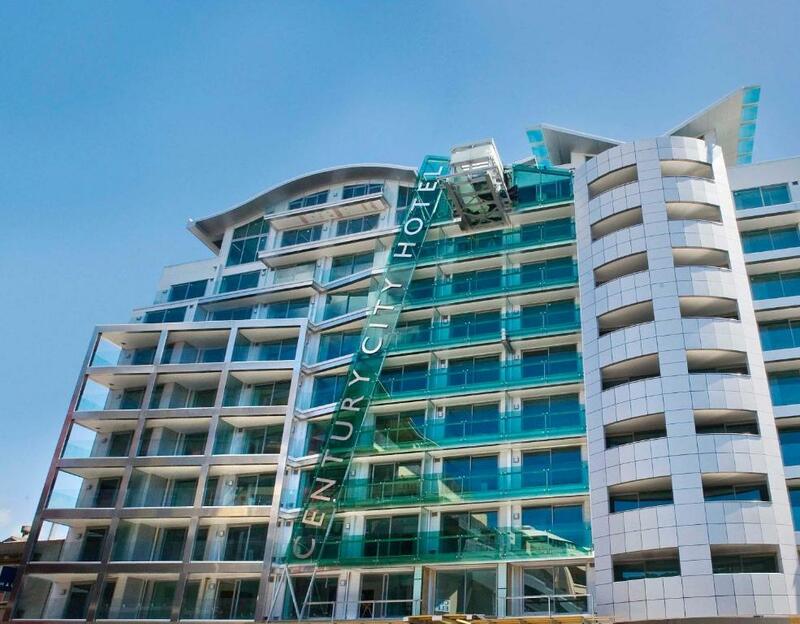 Distinction Wellington Century City Hotel offers sleek and stylish serviced apartments, providing the ultimate way to experience the city’s wealth of dining, shopping and cultural options. 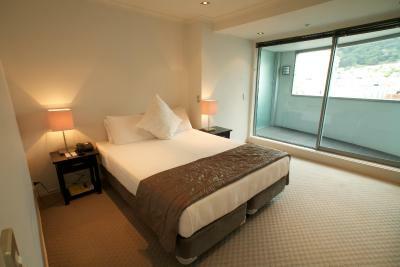 Located in the heart of Wellington, the hotel is just 2 minutes’ walk from the nightlife of Courtenay Place. 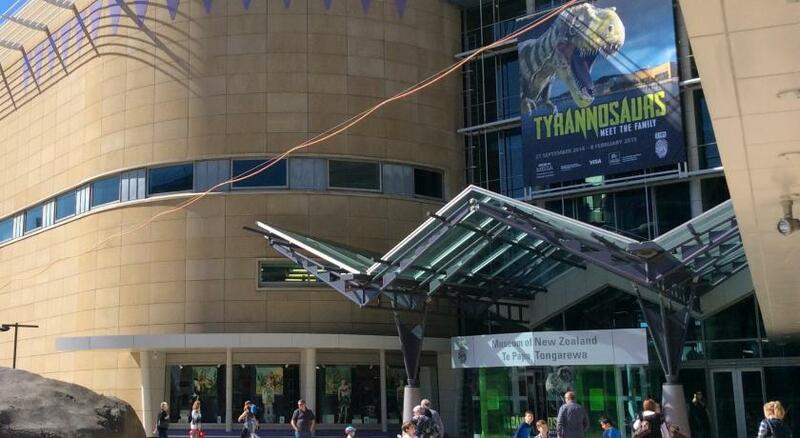 Cuba Street Mall, Te Papa Museum and Wellington’s waterfront are within 10 minutes’ walk. 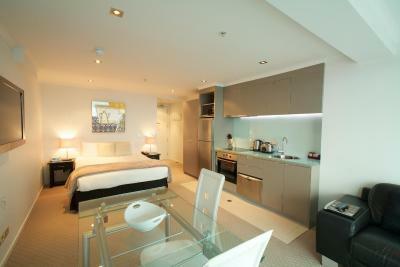 From studio rooms to luxurious penthouse suites, Distinction Wellington has a range of accommodation options. With the exception of studios, rooms include a balcony, fully equipped kitchen, LCD satellite TV, leather lounge suite and laundry facilities. 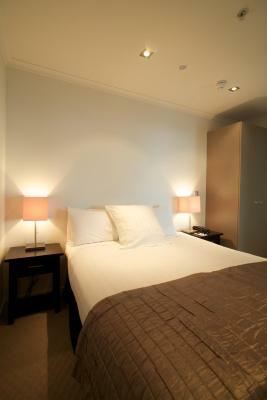 On-site car parking are available to guests at an extra charge. 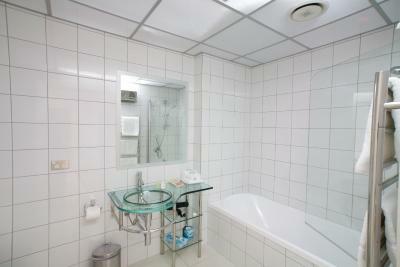 Facilities include free WiFi an indoor pool and a fitness room. 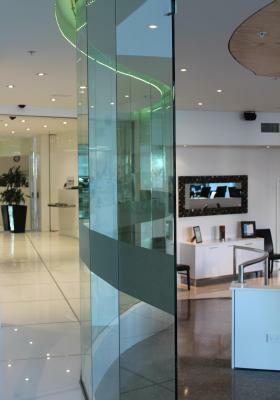 The 24-hour reception team is there to answer any queries. 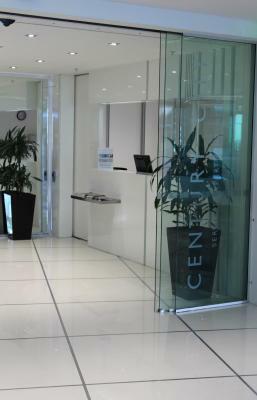 Distinction Wellington, Century City Hotel has been welcoming Booking.com guests since 8 Mar 2010. 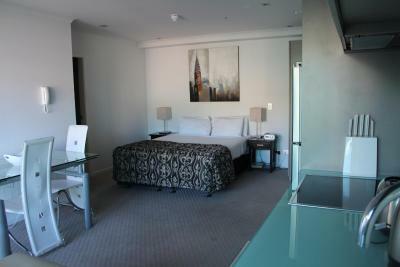 When would you like to stay at Distinction Wellington, Century City Hotel? 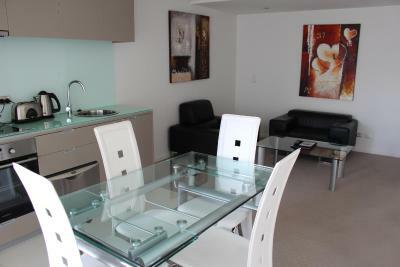 Stylish and functional studio with dining table, fully equipped kitchen and balcony. 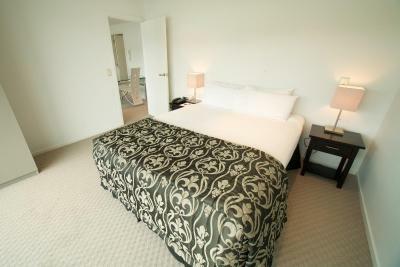 Private parking is possible on site (reservation is needed) and costs NZD 20 per day. 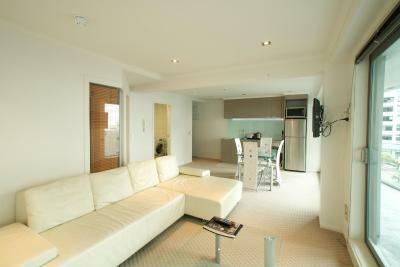 Modern and stylish apartment with separate bedroom, living room with dining area, fully equipped kitchen and balcony. 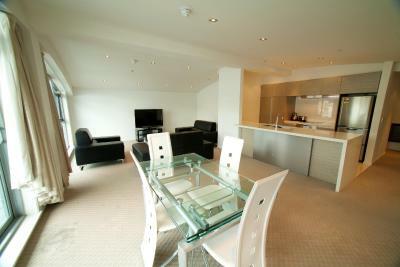 Stylish and spacious apartment featuring a living room with dining area, fully-equipped kitchen and large balcony. Fully self-contained apartment featuring a living space with lounge suite, plus an outdoor area and fully-equipped kitchen. 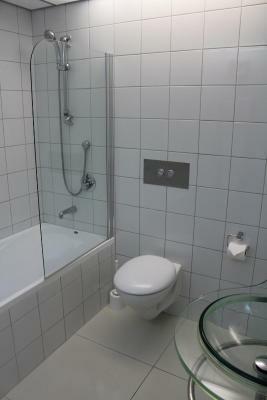 This stylish and functional studio includes a fully equipped kitchen, a dining table and an en suite bathroom. 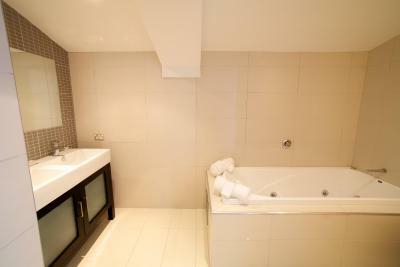 Some rooms have a bathtub. 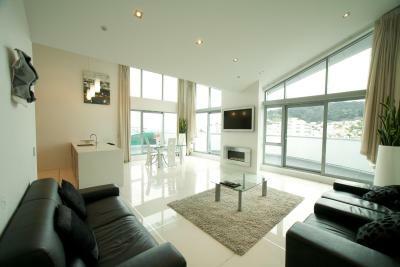 This fully self-contained apartment features a living space with a lounge suite. 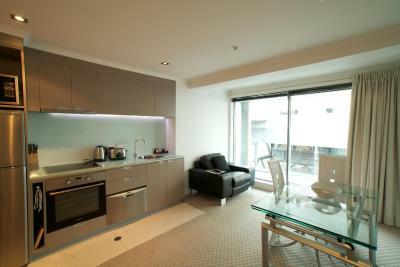 It also comes with a fully equipped kitchen and an outdoor area. 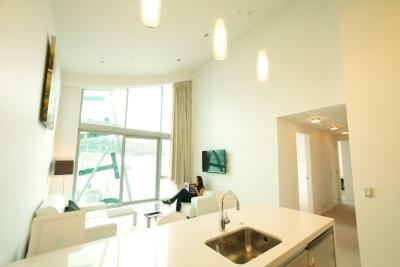 This modern and stylish apartment includes a separate bedroom, a living room with dining area, and a fully equipped kitchen. 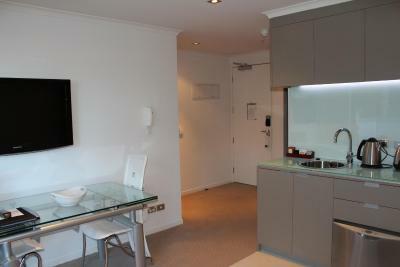 This suite features a balcony, toaster and electric kettle. 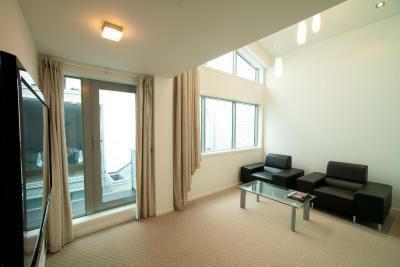 The Economy Studios are located at the rear of the hotel and feature a balcony. A great place to escape to with the family. 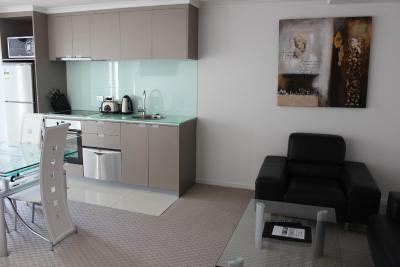 All apartments offer full kitchens, perfect if you want to spend a night in with the kids, alternatively an array of restaurants and bars are located within a stone’s throw of the hotel. Free WIFI! 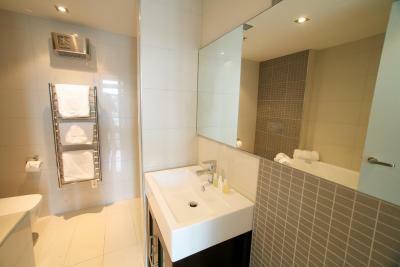 House rules Distinction Wellington, Century City Hotel takes special requests - add in the next step! 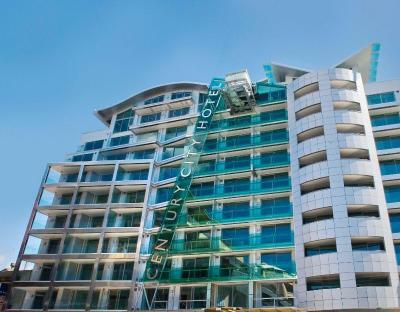 Distinction Wellington, Century City Hotel accepts these cards and reserves the right to temporarily hold an amount prior to arrival. 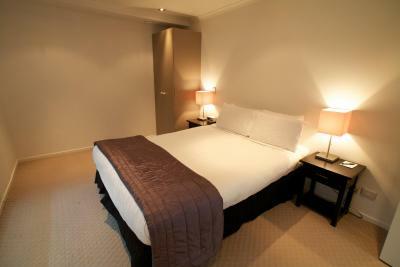 Please note that 'breakfast included' rates offer breakfast served at Caffe L'Affare, a 2-minute walk from the hotel. Breakfast hours are weekdays from 7:00, Saturdays 8:00 and Sundays from 9:00. Please note there is a 1.85% surcharge when paying with Visa or Mastercard credit card and a 3.5% surcharge when paying with American Express or Diners Club. No complaints or suggestions for improvement. 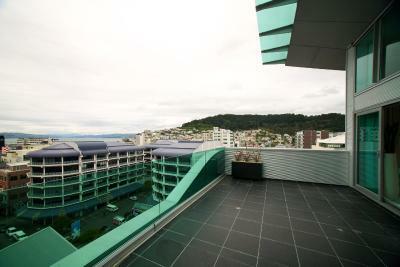 We didnt like the fact that our view was the ground floor carpark. We would have preferred it if they could have advised us that this would be the case. The neighborhood was a little sketchy. Noisy in the wee hours. Shower pressure was poor. Gym was not very clean with no sanitizer to wipe equipment down with. Location great, staff very friendly. Not bad at all, only the engine sound that could hear sometimes from the refrigerator. Not quite crucial for me. Furniture showing signs of wear & tear (small tear in the settee & saggy cushions, wobbly chair by table & tv has a black line through picture until warmed up). Our room was down the side so the view was of the hotel car park - but you could see the distant hills to one side which were nice. Front stuff not so friendly and welcoming however one lady who was front stuff on Friday at about 2pm (don’t jnowshe was really nice. The other stuff wasn’t so welcome. Staff knowledge of local restaurants. Was woken an hour earlier than should have been. Room looked onto car parking area which was noisy. 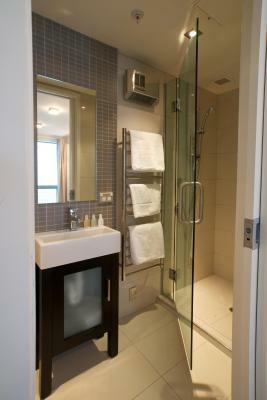 Amazing Hotel Staff is very friendly and the apartment was so immaculate & clean. The room was awful. It didn't feel clean. The curtains were closed when I entered and when I opened them, it was the car park...you could open the ranch slider and step into the car park. Felt like the room should have cost a LOT less. 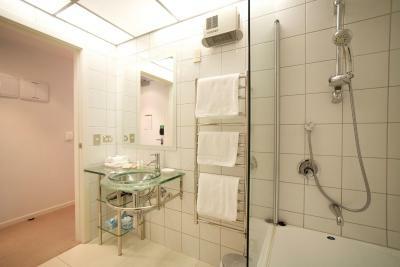 There were other things too but basically I wouldn't re book there, even if other rooms are nicer. Was in the right location for me. One of the staff was very friendly. 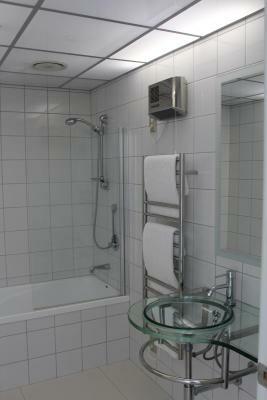 The rooms are like underground bunkers and while well appointed, clean and new it has no air conditioning and no natural light on levels 1. Our room opened into a car park so you couldn’t open the doors to let airflow at night etc as there is no security screen. We changed from one room to a bigger room which we appreciated as it felt like we had more air.